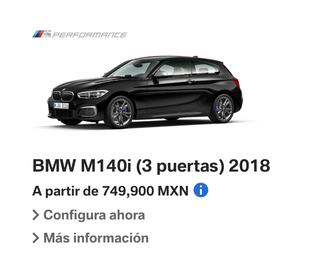 Reminder: You can get a rear wheel drive, 340HP turbo straight six BMW hatchback in Mexico for about the same price as a VW Golf R in the U.S.A.
Shame it only comes with an autobox, but it’s a good one, the ZF 8 speed that everyone seems to have! Also, the Golf R is about four grand cheaper here too! Don’t ask me why or how!